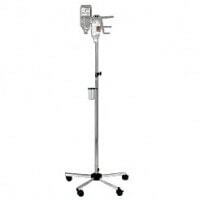 Praxisdienst not only offers you various drip stands, but also other equipment like wall arms and infusion holders which allow you to mount glass infusion bottles and infusion bags onto the iv stands. 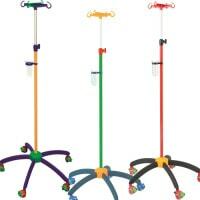 In addition to classic infusion stands, you will also find paediatric drip stands and collapsible iv stands. 360,95 EUR* Not ready for shipping. Reserve today and we will ship as soon as possible. 49,00 EUR* Not ready for shipping. Reserve today and we will ship as soon as possible. 200,95 EUR* Not ready for shipping. Reserve today and we will ship as soon as possible. 99,85 EUR* Not ready for shipping. Reserve today and we will ship as soon as possible. 212,95 EUR* Not ready for shipping. Reserve today and we will ship as soon as possible. 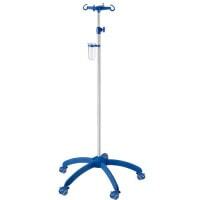 IV stands are medical aids that are used for hanging infusion bottles in surgeries, treatment rooms or operating theatres. 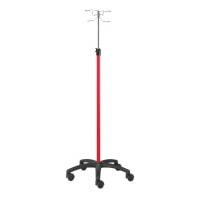 Infusion bags and blood bags can also be fastened onto infusion stands. 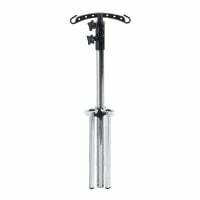 With the help of a drip stand, gravity infusion becomes easy by simply hanging the infusion bottle. 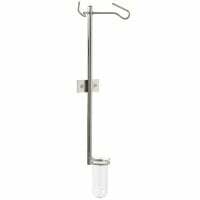 Plastic infusion bottles can be attached to drip stands via their integrated hanger; glass bottles with an infusion bottle holder. IV stands are typically height adjustable and can be simultaneously used with multiple infusion bottles. 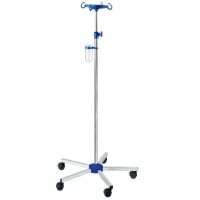 The mobile base allows the drip stand to easily be used on the go, which is especially helpful in hospitals and care facilities. 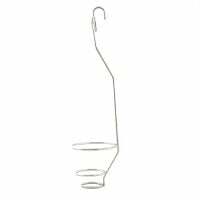 Drip glasses are excellent for storing consumables, such as stylets. 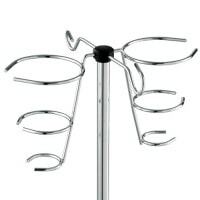 In order to prevent the infusion stand from rolling away, most of them have a mobile base equipped with lockable wheels. 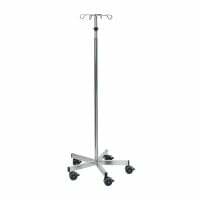 At Praxisdienst, you may buy a large selection of high-quality drip stands and wall arms from Provita, CARINA Medical or Ropimex. 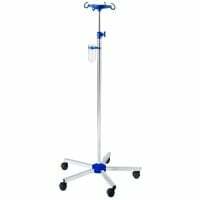 We also offer child-oriented drip stands, specially designed for paediatric wards in hospitals or paediatric surgeries, which differentiate in design from common infusion stands. Most of them are multicoloured and designed with child-friendly details, such as animal shaped wheels. In the Infusion/Transfusion category, you will also be able to buy infusion sets, infusion solutions and additional infusion accessories, at reasonable prices. Do you need help in your search for the perfect drip stand or other infusion equipment and products? Our customer service team will happily help you in that search. 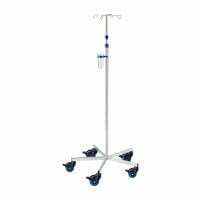 Buy all of the infusion equipment and related products you need for great prices from Praxisdienst!